On April 3, 2019, the Sustainable Architecture conference organized by Grupo Vía took place in Madrid. This third edition of the event analyzed the new WELL Building standard of health and well-being, as well as the latest sustainable projects and the use of certifications such as BREEAM and LEED. The day also tackled the keys of the CRADLE TO CRADLE philosophy applied in the field of construction to generate sustainable and reusable buildings based on the principles of the circular economy. 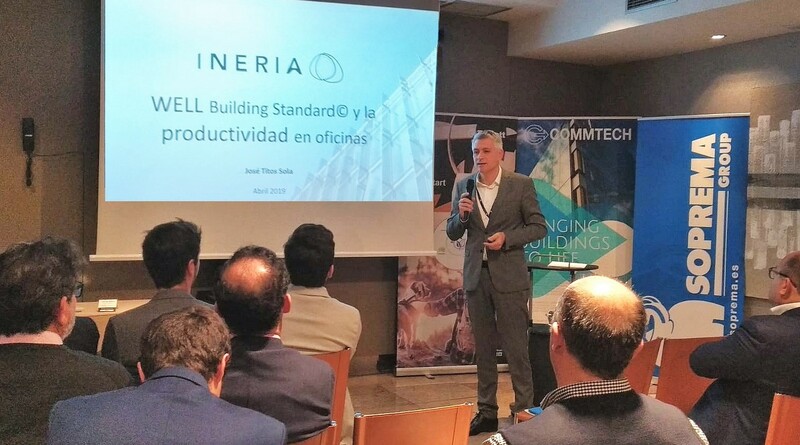 José Titos, Managing Director of Ineria Management, made a presentation entitled “The WELL Building Standard certification and productivity in the offices”. Along with well-known experts from other companies such as CBRE, Commtech, Ruiz-Larrea, Tarkett, Soprema, ITG, Ambisalud, Trasbordo, Savills Aguirre Newman, Esudio Lamela and OHL, an interesting final debate also took place.